It seems that every exercise video or fitness program claims that if you buy their system, you can burn up to 1000 calories in an hour. If that were the case I would be able to eat brownies every day and still lose weight (I wish!). Note the key words they use in their sales pitches: up to, may, can, possible…etc. Unless you weigh a lot and have large muscles, it’s incredibly unlikely that you will burn 1000 calories in a mere hour of any type of exercise. From this data you can see that the less you weigh, the fewer calories you burn. This is why it’s really hard for tiny folks to lose any weight at all, and why it’s easier for heavy folks to lose weight quickly. Even though this information is from WebMD, a reliable site, they’re approximations. A younger person with denser muscles will burn more calories than a senior citizen even if they are the same weight. Age, muscle mass, metabolism, and how often you move when you’re not exercising has an effect on calories burned. My husband kidded me that he burns more calories lying on the couch reading the paper than I do in a one hour high-intensity plyometric workout. 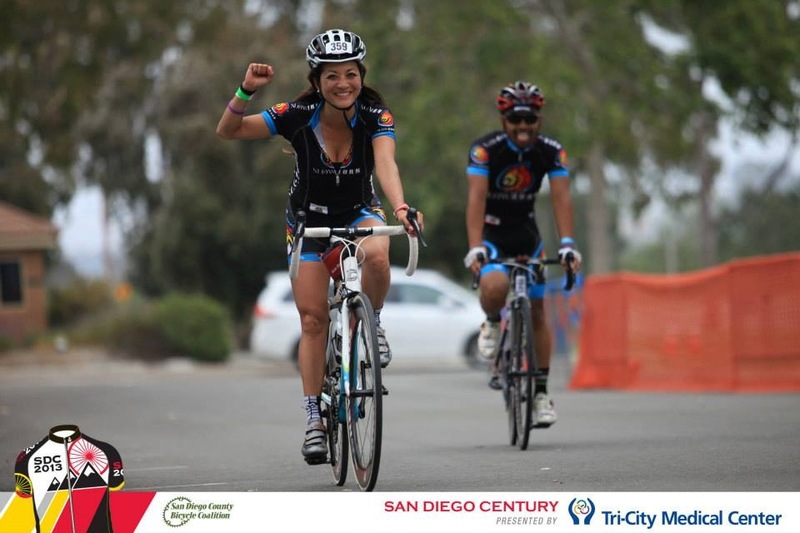 Photo: Jojo crossing the finish line on a century ride (100 miles). Now that burns some serious calories! These look effective, hovewer, wish I could see what the band is attached to in first exercise. What if you don’t have someone to hold it for you in next exercise? Is there a work around? What blog are you referring to? So far, I haven’t posted any exercises with bands. On the blog titled, Exercise Caloric Claims, the cyclist is wearing a heart rate monitor on her wrist. Thanks for the kind words. I love compliments!